I picked up this marvelous pair of foo dogs this weekend. The photos don’t do them justice! The detail is amazing. The bases are adorned with images of horses and peacocks. The dogs themselves are intricate, each having a porcelain ball inside the mouth. You can see that one statue has smaller foo dogs climbing up the larger (momma) foo dog. They are beautiful (and available in the shop!). 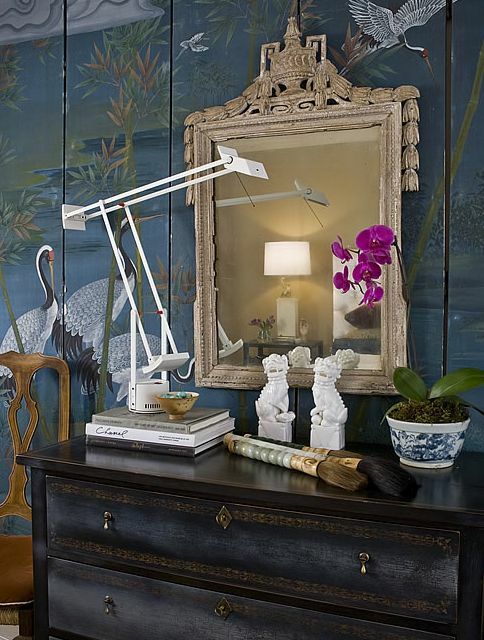 I know that we are seeing a lot of Chinoiserie and foo dogs used in decor lately. But there is a history to the foo dog. The male rests his paw on an embroidered ball, representing supremacy over the world. The female with a cub represents the act of nurturing and the cycle of life. Also, they are not referred to as “dogs” in Chinese – but lions. Somewhere along the way, the Western world started referring to them as dogs. And, they are always represented in pairs (reason enough to purchase a pair!). There are theories that the male dog protects the structure, while the female dog protects those living within. A quick and interesting history can be found here. 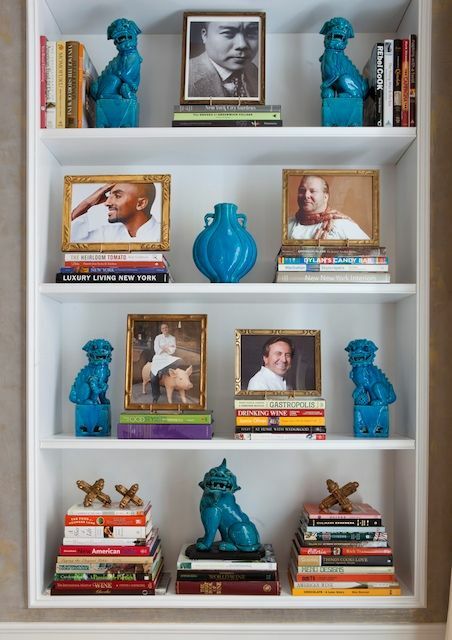 Foo dogs continue to be popular decor pieces. We are seeing them used as lamp bases, bookends, depicted on china and linens, the list goes on. Today, let’s look at how you can use a pair of foo dog statues. The white statues contrast nicely with this stunning chest and wall panels. Styled on top of books next to some amazing peonies! The simplicity of this mantel setting is pretty. Collect them in the same color and take a shelfie. Or collect different types and colors and take a shelfie! A lovely, large pair of foo dogs work on this table – but I don’t think I’d want them watching me sleep. 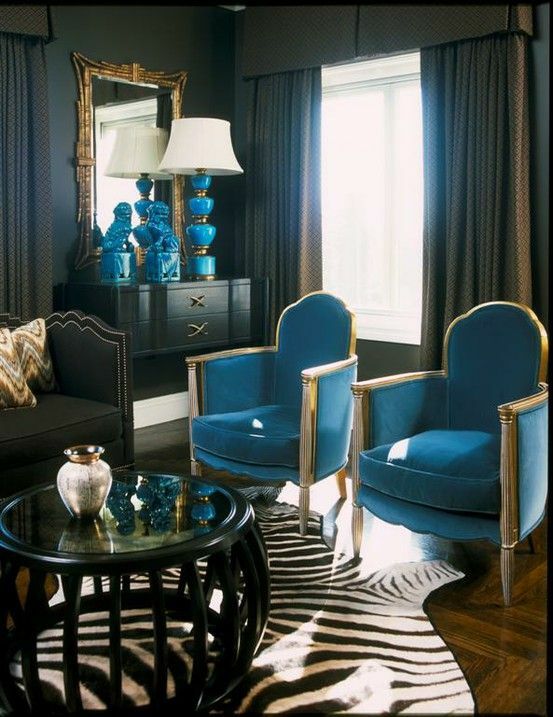 A nice addition in this colorful room. This pair ties in with the turquoise accents. There you have it. Don’t fight the foo “trend”! They’re a fun and beautiful addition to a room, and they have mystical powers of protection. What’s not to love?! Oh would snap these up in a nano if I could Kristen! I have wanted a pair and they are very special! As always a great find and a wonderful bit of information on the Foo! This pair is stunning. Marvelous work, Kristen! Woof. 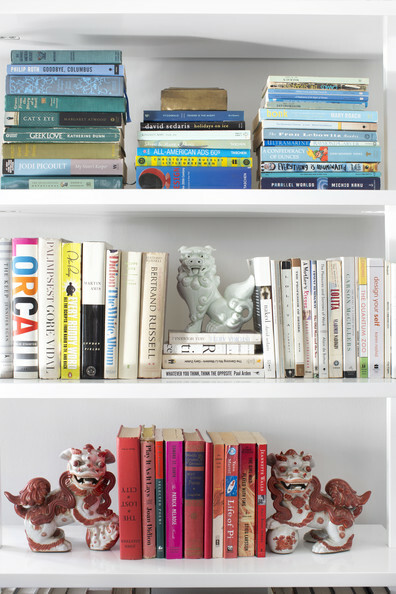 These were a great addition – love foo dogs! !